Manuel Antonio is one of Costa Rica’s top destination sites. 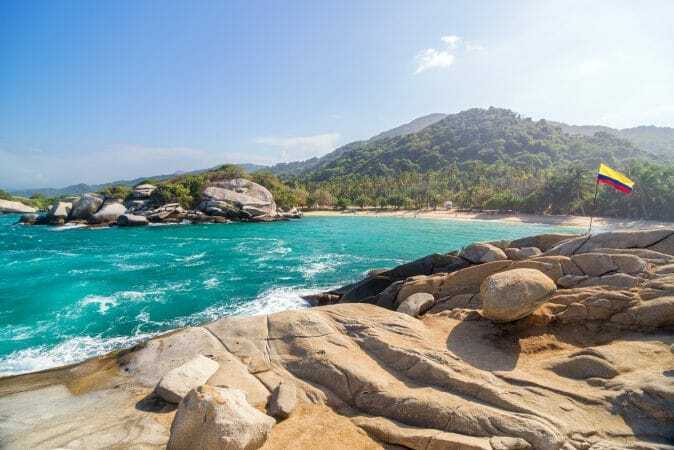 Though it houses the smallest National Park in the country, the beautiful, untouched beaches, which border the rainforest, continue to draw visitors from all over the world. 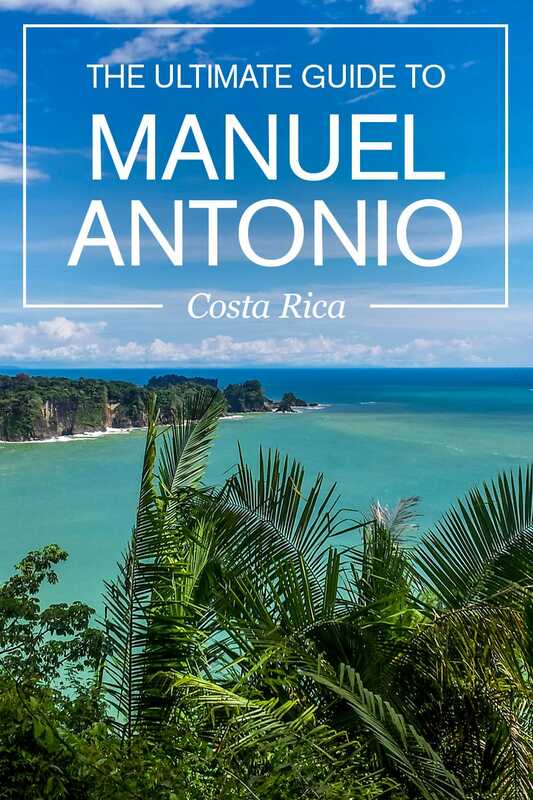 This guide will give you a list of all you need to know while exploring the majestic land of Manuel Antonio. 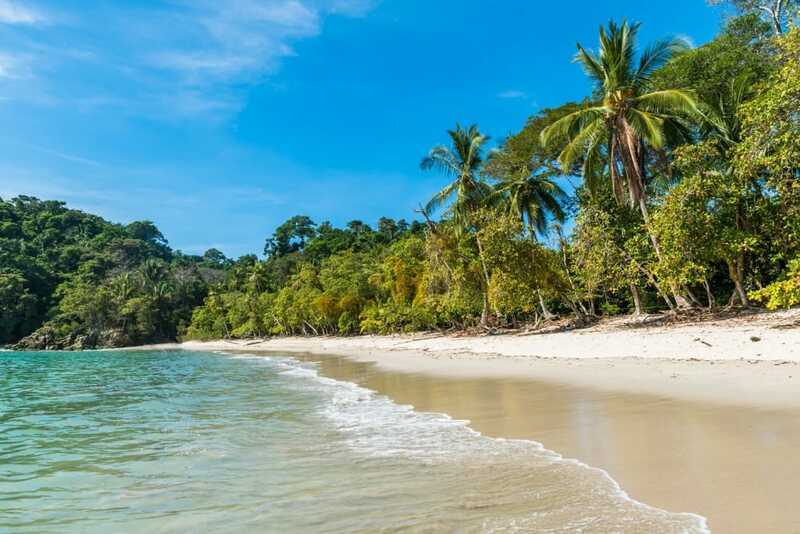 Located in the Central Pacific region, between the charming city of Quepos and the protected Manuel Antonio National Park, lies the small town of Manuel Antonio. 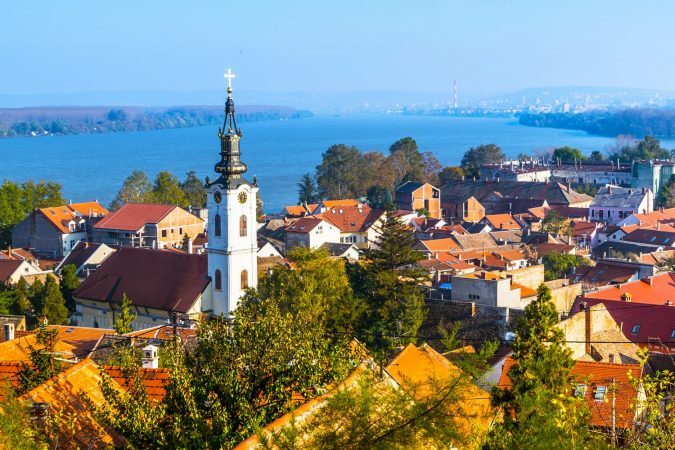 The town stretches about 6 km, with most attractions located along the main road. 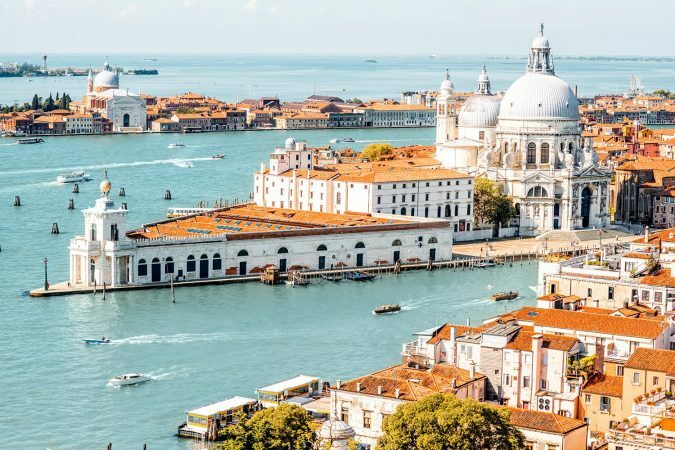 You’ll find a variety of accommodations, from five-star luxury resorts to shoestring budget backpacker hostels, and bars and restaurants serving everything from local cuisine to falafel, burgers, and seafood. 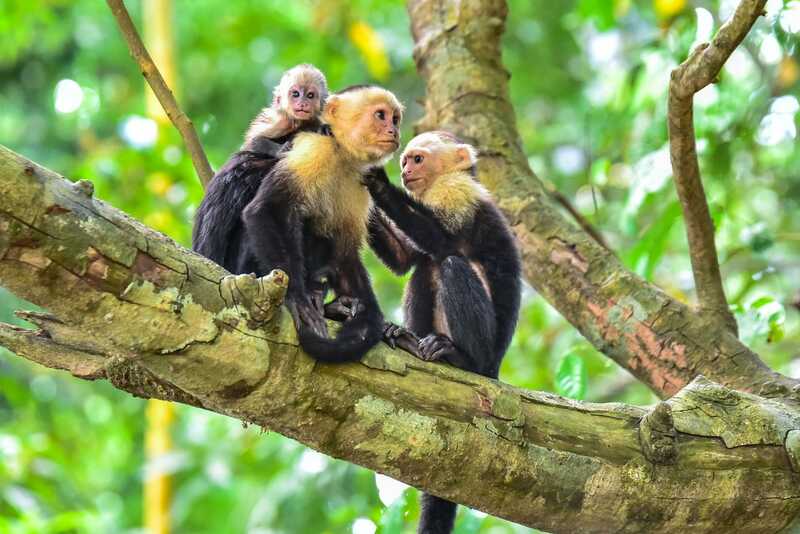 Visitors flock to Manuel Antonio not only for the beautiful beaches, but also for the variety of wildlife you’ll be sure to spot during your visit. From white-faced capuchin and titi monkeys to free roaming lizards, scarlet macaws, toucans, and even sloths, you’ll be greeted by nature at every turn. Manuel Antonio National Park consists of 680 hectares crossed with easy hiking trails throughout. One path leads to the private beaches exclusive to park goers, while the other leads to the Manuel Antonio waterfall. There are over 100 species of mammals and almost 20 distinct species of birds. Through the park you will see a number of white-faced capuchin monkeys, lizards and coatis. For more variety, make sure to hire a guide who will provide binoculars for the wildlife in the thick jungle. Surrounding Manuel Antonio are two rapid sections and a river for all-level rafters. Savegre River for Class II and III rafters, Naranjo River for Class III and IV, and “El Chorro” for Class IV. 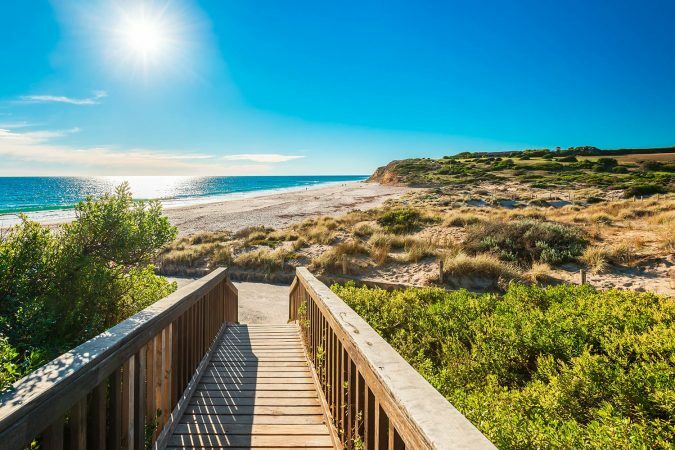 Discover hidden coves and bays on the ocean or explore secret mangrove forests. Surf breaks are easily found up and down Manuel Antonio beach. Lessons for beginner, intermediate, or advanced students can bring you to exclusive beaches in the area. 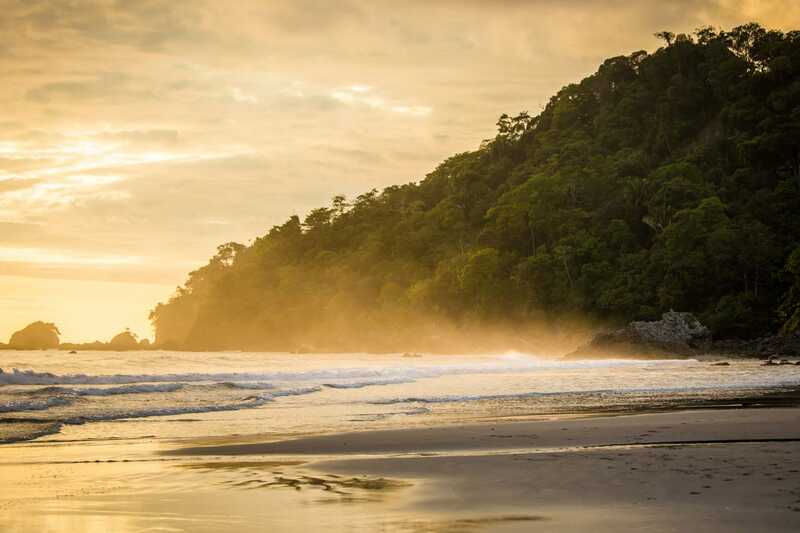 Trek the trail along the Manuel Antonio coastline through 5 miles of steep rolling hills, monkeys, and secluded beaches. Study Spanish on the beach in group or private classes; lessons are available for as many or as little hours as you’d like to attend. To maximize your beach and sun time, visit during the dry season from December-April. The temperatures are hot, humid, and sunny. That being said, the waterfall in the Manuel Antonio National Park will probably be dry. So, if that’s on your list, try to visit when rainy season is ending in December. The easiest way to get to Manuel Antonio is through San Jose. 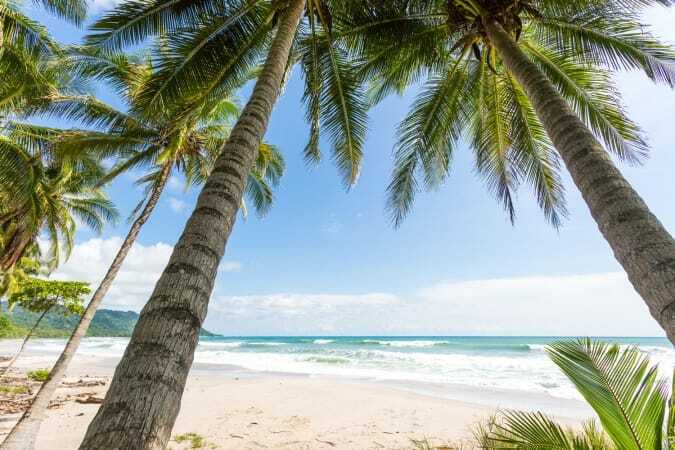 If you end up on a plane from the LIB airport in Guanacaste, you’re better off visiting the beach towns in that area, though you won’t find the lush green rainforest and wildlife we’ve been raving about. So, here’s the scoop. From the Juan Santamaria International Airport a private shuttle will cost $169 for up to 5 passengers. It’s definitely the more expensive option, but you’ll be comfortable for the three-hour drive. Have an Uber drop you off at Tracopa Bus Station and purchase a direct bus ticket to Manuel Antonio for about $8. The bus can be compared to a Greyhound, and it’s totally doable. There’s even a compartment beneath to stow away your luggage at no additional cost. The bus might make several stops although it’s direct, but get off at the last stop of Manuel Antonio. There’s one rest stop for bathroom breaks and snacks, but make sure to be back on the bus in the allotted time frame because they don’t make announcements when they leave. Any local soda will keep your budget happy with a typical Costa Rican meal consisting of rice, beans, plantains, and a protein for under $5. But if you’re looking for more variety, Manuel Antonio won’t disappoint. El Avion is not only great for seafood, or casual fare, but even better is you dine inside of an airplane. The cockpit is great for photo ops, and if you plan to have dinner, arrive before sunset so you can enjoy a beautiful view. 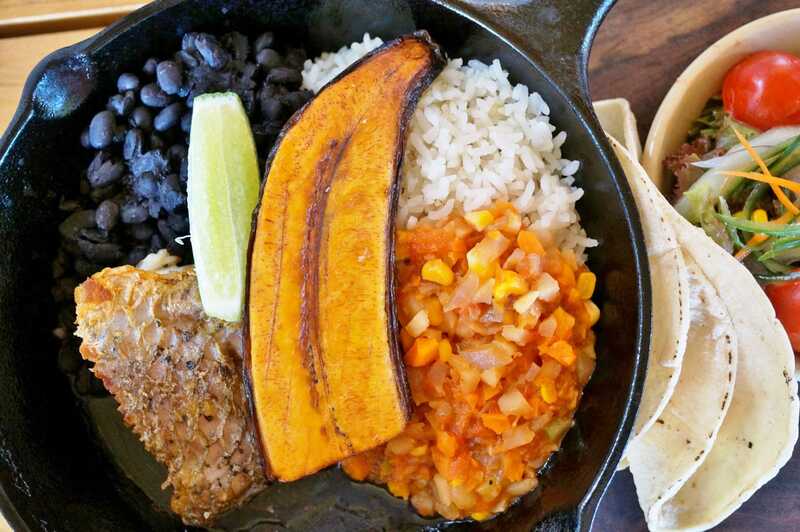 El Patio Café Milagro is another amazing option bringing Caribbean flavor to the classic Tico dishes. Monday nights bring live music, and the garden provokes an intimate setting under dim lights. 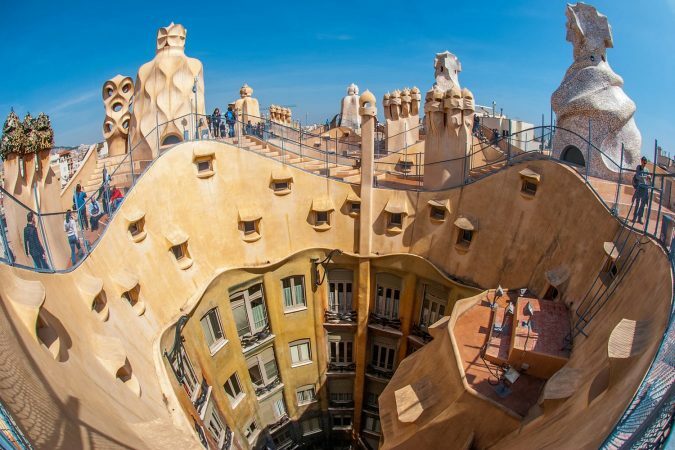 There are a variety of accommodation options in this area for all budgets. 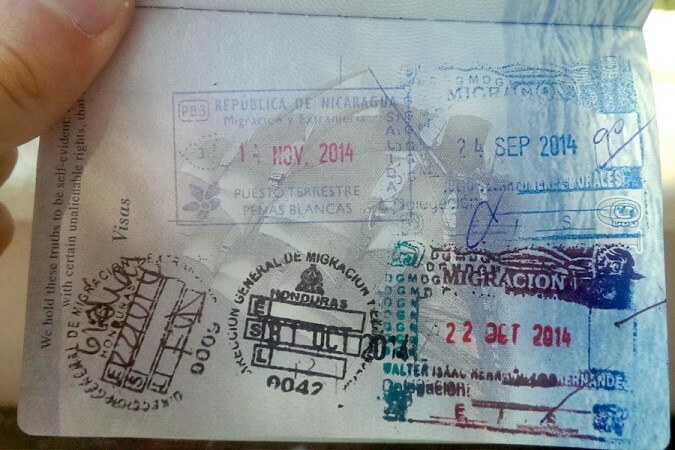 If you’re a traveler looking to save, try the Backpacker’s Hostel or Que Tuanis. They have dorm and private room options which can include breakfast. If you’re willing to splurge just a bit more, you can upgrade to Selina, which maintains a huge swimming pool, yoga sessions, and a lounge which gets busy on Friday nights with a live DJ and two bars. A more luxurious stay can be found at GAIA Hotel & Reserve or Parador Resort & Spa. Note: If you are a backpacker traveling around Costa Rica make sure to check out our comprehensive list of the best hostels in Costa Rica. Every 15 minutes a bus from Quepos to Manuel Antonio National Park makes stops along the main road. The tariff is 350 colones or you can pay $1. Visit Quepos and explore La Pez Vela Marina, La Feria on Friday evenings or Saturday mornings, and Playa Maracas.